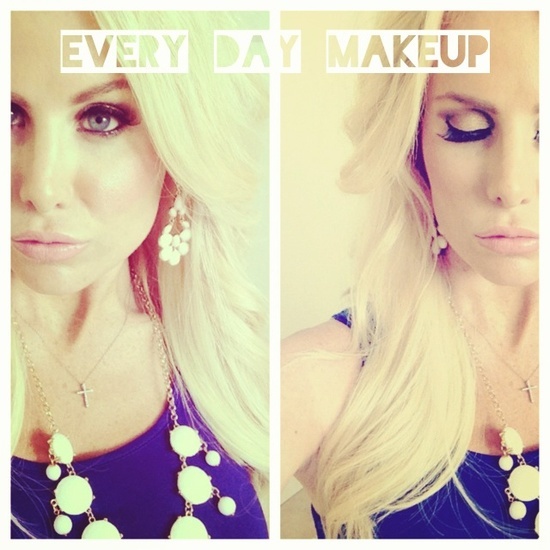 Here is a list of makeup that I use everyday to complete my look. Depending on how I am feeling sometimes I will do a darker smokey eye look but I usually don't go as dark for the day time & try to have a more natural look. Moisturizer with SPF- this is my staple I always have moisturizer with sunscreen on I love estee lauders moisturizer. Foundation- Estee Lauder double wear I have used this for years and literally can't get away from it! I am always up for trying new types (brands) of makeup but when you love something you just cant get away from it! I literally apply in the morning & work out in the evening and I still have a full face of makeup on. Love the blog!! What brand and style of falsies do you wear?! They look amazing! Where do you find Laurel falsies? Never heard of it.